Sign up for Broadjam today to follow C.W.Mossholder, and be notified when they upload new stuff or update their news! Composer and Senior Sound Designer at Sony Online Entertainment. 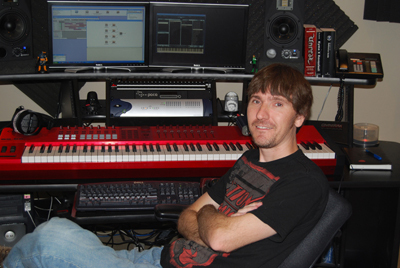 Composition credits include music for: Star Wars Galaxies, Matrix Online, Everquest, Pirate of The Burning Seas, Frantix, DC Universe Online. Founder of Electronic music project "TWINE" on Ghostly records. Collaborative works with world-renown artist Mark Amerika.